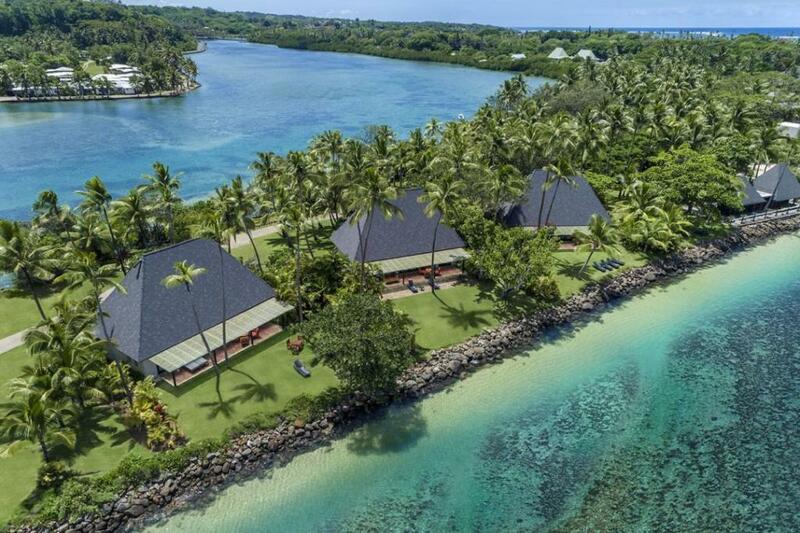 The largest private island resort in the South Pacific just got even better. 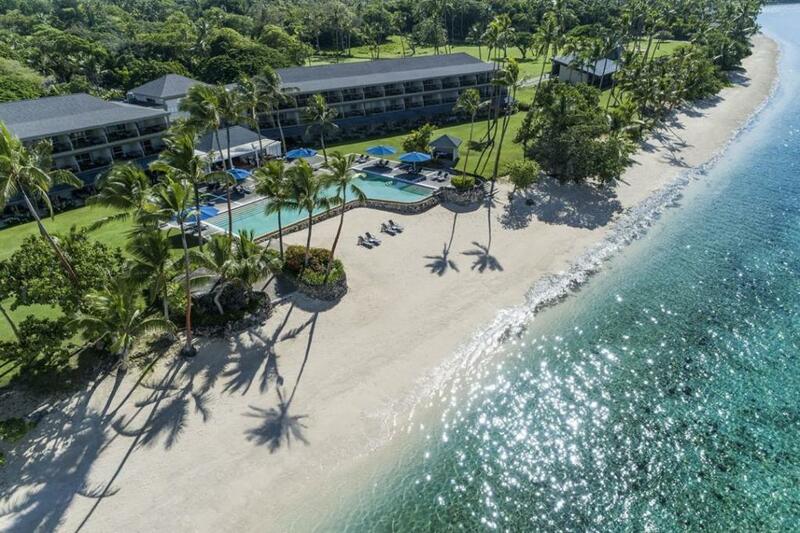 Shangri-La’s Fijian Resort & Spa has undergone a magnificent transformation. Costing a tidy $50-million, we wanted to find what’s new for families at the Yanuca Island resort. 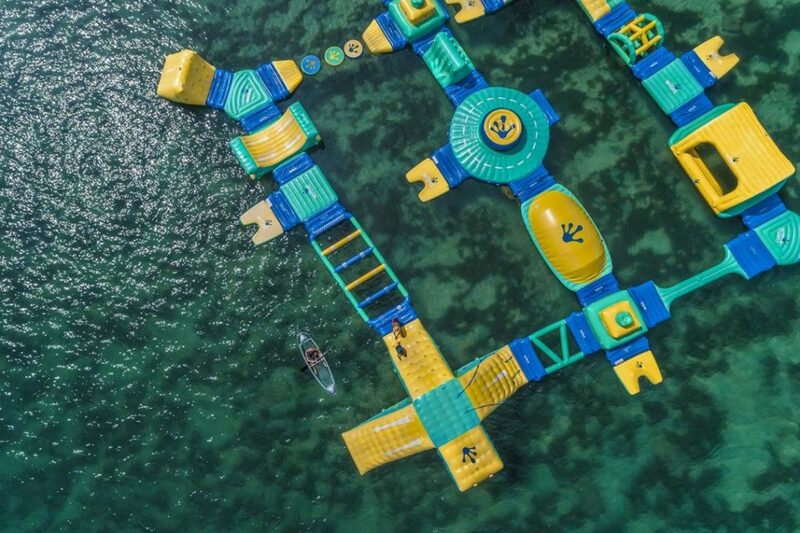 Yanuca Island now boasts the South Pacific’s largest inflatable water park. Being home to one of the only islands lagoons unaffected by the tide, the resort is able to offer awesome water-based activities year-round. The beach and lagoon are monitored by lifeguards from dawn to dusk everyday. The resort’s family pool is always buzzing during the day. Kids can splash around for hours on end. This is just one of three pool areas in the Shangri-La Fijian Resort & Spa. The new Reef Wing is an adults-only precinct that covers more than a quarter of the island. Not great news for families, but it means kids have the freedom to run about and enjoy the family-friendly areas without the unnerving glares from snooty adults. Don’t worry, part of that $50-million was put towards updating the two-bedroom Lagoon Bures. These self-contained family rooms offer plenty of space to stretch out. A big chunk of the budget went towards invigorating the resort’s dining scene. Now, families have six awesome dining options to choose from. 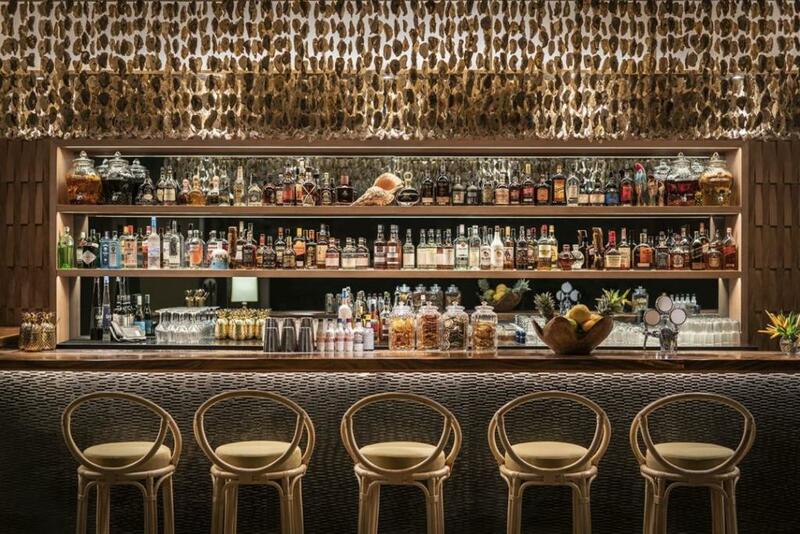 They range from casual grab-and-go eateries to formal five-star restaurants. The Lagoon Terrace should be at the top of your list. The menu changes daily, offering an array of meals made from fresh, seasonal produce. For a great view at dinner, you can’t beat the Golden Cowrie Coastal Italian Restaurant. 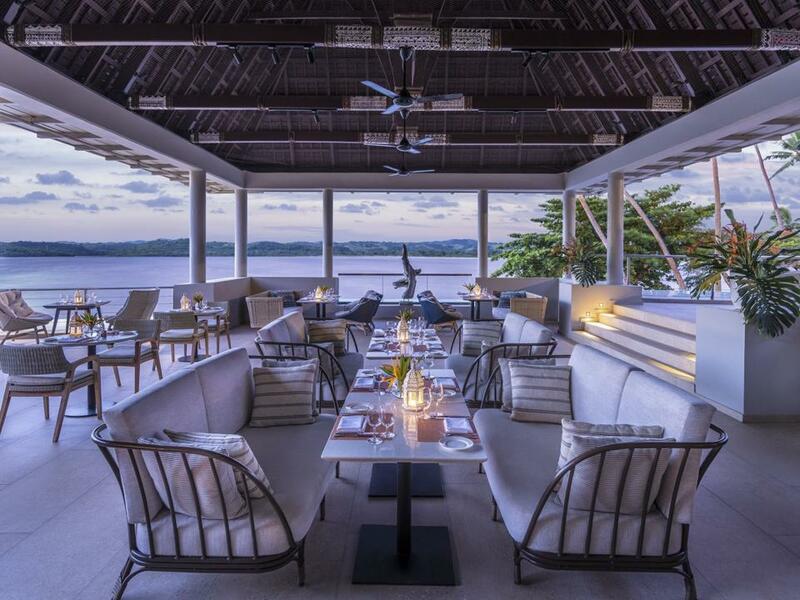 One of the most significant new offerings at Shangri-La’s Fijian Resort & Spa is the meal programme. Families can choose to add a half or full board meal package to their booking. This way, you can try all the restaurants at the resort and not have to worry about paying a huge bill at checkout. Shangri-La’s Fijian Resort & Spa is located on the private Yanuca Island, 50-minutes from Nadi Airport. Want to stay here? Our team of travel agents can secure great rates for families. Get in touch for a quote today.